in Paris in that year. 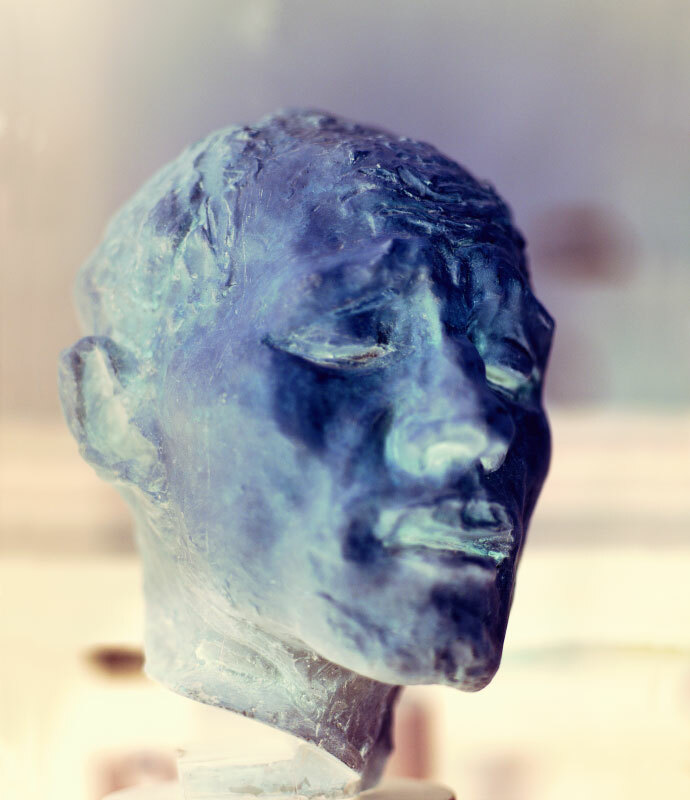 As had become usual, Rodin soon used his group again: he reused the fine Head of Pierre de Wissant, reduced it, and after 1900, also gave it monumental dimensions. The small head loses none of its strength. Leaning forward slightly, with eyes half-closed and parted lips, it contains within it all the pathos of a person confronted with a dramatic situation, like a portrait that concentrates a whole life in the face alone.